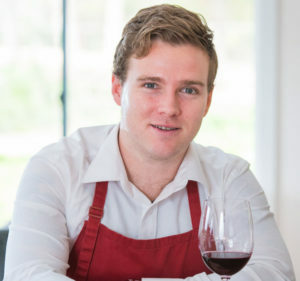 Fred Loimer began his journey studying winemaking at Klosterneuburg. After years doing vintages in Nahe (Germany) and with Walter Schug in Sonoma (California), Fred returned back to the family estate in 1997 and purchased the former cellar of the Haindorf castle in 1998. Biodynamic viticulture has been practiced since 2006 and Fred is in fact one of the founding members of Respekt, an association involving wineries from Austria, Germany, Italy and Hungary. The wineries associated have committed themselves to the goal of producing wines of the highest quality using only biodynamic methods. With 200 acres under vine managed by Fred (owning most of them himself), the plantings consist predominantly of Gruner Veltliner, Riesling and Pinot Noir and are considered to be some of the best examples within the Kamptal. However, this particular Gruner Veltliner comes from the Spiegel vineyard, which is 5 acres in size and has pure loess soil. The yield is kept reasonably low (only 1.2 tons per acre) to ensure quality in the resulting wines. Ripe grapes are harvested in October in an effort to retain as much terroir in the wine as possible. This wine has been made in the reserve style, which is a richer and more opulent interpretation of Gruner Vetliner. The juice is aged in barrels and left to naturally ferment and resulting alcohol levels are 13.5%. Upon pouring the wine shows beautiful golden-straw colour with greenish flecks to the rim. The aroma springs out of the glass and immediately shows this is going to be a muscular and powerful example of Gruner Veltliner. To begin with there is a tremendous and inviting creamed green apple aroma amidst an abundance of green herbs and pears. As the wine slowly breathes in the glass it develops the trademark Gruner Veltliner white pepper with transient glimmers of doughy, champagne-like yeasty character. The creamy, sweet green apple shines the moment that you taste followed by white pepper, pear and ultra-fine fennel character with a fresh mineral driven finish. Impenetrable, dense concentration, broad and expansive from the front-palate through to the back-palate. Powerful, creamy and opulent in its texture. There’s beautifully refreshing acidity playing a wonderful balancing act with the creamy, layered palate. The finish is giving and lush but that mouth-watering acidity leaves you eager for the next sip. There’s plenty of youth here, also plenty of authority. In summary, a very enjoyable wine. I can see this working with a number of different foods from rich and oily seafood through to veal shanks, roasted duck and pork belly. In saying that I am drinking this with crab and zucchini fritters with creamy dill hollandaise sauce and they are working together in harmony! Ever so enjoyable now with only a few years bottle age, but for the aged Gruner lovers this is definitely one for the cellar too! 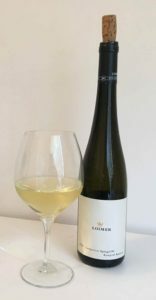 This entry was posted in Adelaide Hills, Adelaide Hills Gruner Veltliner, Adelaide Hills wine, Adelaide Hills wine region, Blaufrankisch, cool climate wine, Diurnal variation temperature, Gruner Veltliner, Gruner Veltliner Australia, Hahndorf, St Laurent, Uncategorized, wine, Zweigelt and tagged Adelaide Hills, Adelaide Hills wine, Blaufrankisch, cool climate wines, Diurnal variation temperature grapes, Gru, Gruner Veltliner, Hahndorf Hill Gruner Veltliner, St Laurent, Zweigelt Australia. Bookmark the permalink.